Exercise science is the study of how exercise training and physical activity can acutely and chronically affect our overall health. A degree in exercise science will prepare you for a career in health and fitness promotion and education programs in hospitals, sports medicine centers, wellness clinics, universities and rehabilitation facilities. This degree will also prepare you for advanced degree programs in the health professions, biology fields, medicine and other health-related fields. This area is expected to grow as health-care facilities place continued emphasis on exercise and preventative care as part of treatment programs and long-term rehabilitation from chronic illnesses such as cardiovascular and pulmonary diseases. 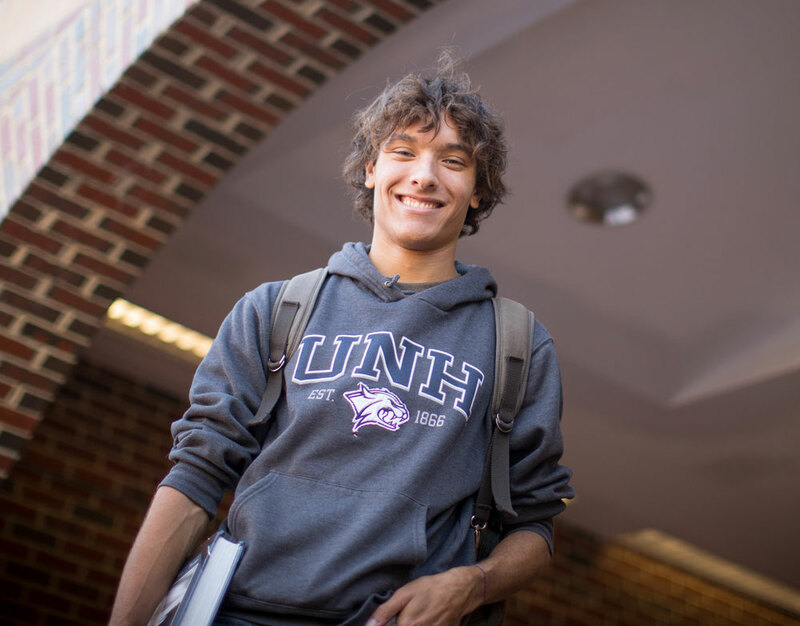 Why study exercise science at UNH? As a student in the exercise science program at UNH you will graduate well-prepared for a future in health- and fitness-related fields. Our facilities include the 3,500-square-foot Robert Kertzer Exercise Physiology Laboratory, which boasts metabolic, cardiopulmonary, biochemistry, vascular and environmental facilities. Students gain valuable hands-on experience while working with the university Employee Fitness Program, Cardiac Rehabilitation Program, and through a full-time, 400-hour internship in an off-campus setting such as a hospital, health and fitness club or research laboratory. In addition, the University Advising Center’s Pre-Professional Health Program helps those intending to apply to health-related professional schools including medical school, physician assistant programs, chiropractic or homeopathic medicine, or physical therapy. This curriculum prepares students for careers in health and fitness promotion and education programs in hospitals, sports medicine centers, wellness clinics, universities, and rehabilitation facilities. Students are also prepared for advanced degree programs in the health professions, basic biology fields, medicine, or other health-related fields. Students must earn a grade of C (2.0) or better in every required course. Successful completion of early and prerequisite courses is required before advancing to sequenced and higher-level coursework. All required courses must be completed before enrolling in KIN 650A Internship in Exercise Science. Interested students should consult with the major coordinator, Dain LaRoche, Dain.LaRoche@unh.edu. These courses give students practical experience in evaluating health and fitness and prescribing exercise to a wide range of clients. Specifically, students assess a number of disease risk factors, including blood pressure, blood chemistry, and body composition measures, and perform maximal graded exercise tests complete with electrocardiogram monitoring, as well as measure strength and flexibility. Students ultimately develop individualized exercise prescriptions for their clients and work with them one-on-one to improve their health and fitness. The internship experience is an off-campus, 10-week, 40-hours per week, full-time experience and can only be taken after all University and departmental courses are completed. Typically, this is taken during the summer after the student's senior spring academic term. Explain and understand principles of anatomy & physiology, chemistry, nutrition, and exercise physiology. Demonstrate the use of these principles during acute and chronic exercise. Perform basic laboratory and clinical assessments important to the exercise physiologist. Read and understand research and apply to laboratory concepts. Understand the role diet, environment, and lifestyle factors play in disease risk and exercise performance. Develop strategies for improving a person’s fitness and quality of life through evidence-based physical activity approaches in both healthy and diseased populations. Knowledge of available professions with development of individual career path. Professionally communicate the principles of exercise science to the community, clinical, medical, and research-oriented groups. In many cases, Exercise Science is an appropriate major for students who desire to attend a health-related professional school following completion of their bachelor’s degree (i.e., physician assistant, physical therapy, chiropractic, homeopathic, or medical school programs). Students should work with their advisor and the Pre-Professional Health Program Advising Center to plot out a program of study that includes the taking of prerequisite courses for the post-graduate school(s) of interest to the student. Despite this planning, we cannot guarantee that you will be able to meet all of the prerequisite courses prior to graduation and you may therefore need to take some courses over the summer or following graduation. Students should also be aware that the internship is the culminating experience for all Exercise Science majors and can only be taken after all required degree course work has been successfully completed. The internship provides students practical experience in their field of choice and allows them to obtain the clinical hours required for application to many professional programs. This full-time, 400-hour internship will be completed during the summer or fall following the senior year and cannot be completed while enrolled in a degree program. Therefore, students should plan to enter professional school in the fall or next summer after successful completion of the internship. Exercise science is a competitive major and is limited to a maximum of 25 students per class year to assure availability of laboratory, practical, and clinical experiences and maintain student-to-faculty ratios. Available space in the major is dependent on the number of admitted freshmen and transfers into and out of the program. If sufficient space is available at the time of application, the following criteria will be used to determine acceptance: your overall GPA, science course GPA, grades in BMS 507, BMS 508, and KIN 620, grades in any other required classes, your letter of interest in the application, and interview. To be eligible applicants must have a minimum UNH GPA of 2.75, a minimum science course GPA of 3.00, and a B- or better in BMS 507, BMS 508, and KIN 620. To learn more about the exercise science major or application process please contact Dain LaRoche at (603) 862-4859 or dain.laroche@unh.edu. Please note that BMS 507 & 508 are prerequisites for KIN 620 and must be completed first. Applications can be submitted at any time once BMS 507, BMS 508, and KIN 620 courses are completed, but applications will only be evaluated twice per year immediately after the January 1 and July 1 submission deadlines for admittance the following semester. Applications submitted after one of these deadlines will be evaluated during the next admission cycle. Please see the application for internal transfer document below. 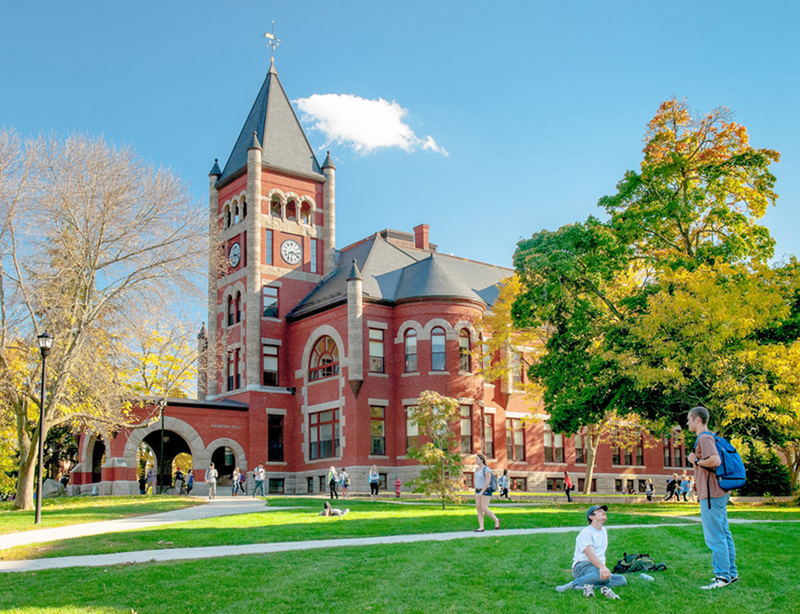 Students wishing to transfer to the UNH exercise science program from another university should visit the undergraduate admissions website. Other inquiries can be directed to Dain LaRoche at (603) 862-4859 or dain.laroche@unh.edu.